Inquire on how about to start or tackle any business entry or investment issue or litigation , arbitration process. Provide labor visa processing, staffing services and liaise with government funded Human Resources Development bodies (ie Human Resource Development Fund). 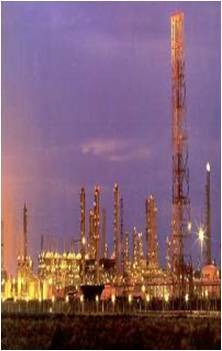 Provide help in applying for industrial and commercial loans from Saudi Industrial Fund, commercial banks. 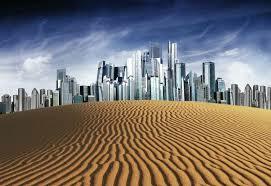 Need a detailed plan to start or tackle a litigation or arbitration process to Saudi courts and law institutions. Need a detailed plan to start or tackle any business entry or investment issue, and Provide help in preparing feasibility studies, business plans, market research and intelligence. Apply for permits , licenses to start or tackle any business entry or investment issue. This package is specific for branch establishment, and serves certain full-fledge licensing. Apply for permits , licenses to start or tackle any business entry or investment issue. 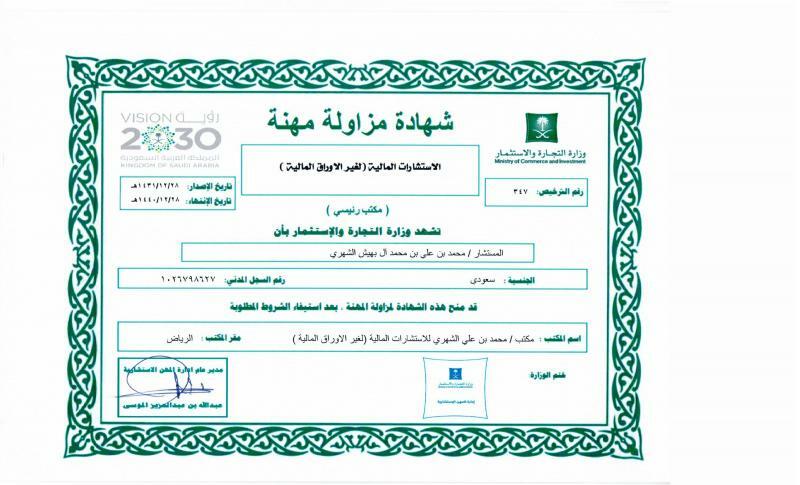 This package is provided to the majority of foreign investors preparing to establish licensing in Saudi Arabia. 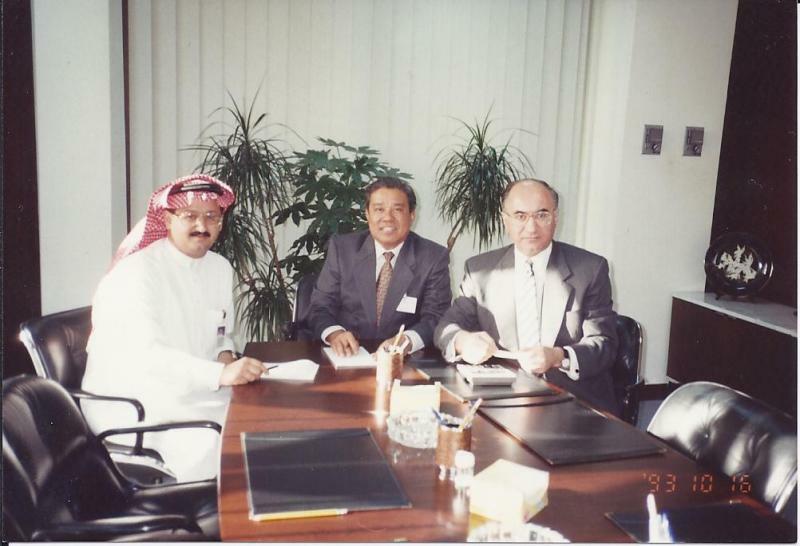 It also complements companies with strategic long term positioning who throughout the year launch a number of joint ventures and special vehicles registered in Saudi Arabia. Real Estate Evaluation: Undertake field visit to the assigned real estate by client, do indoor and outdoor condition inspection, take photos to major parts, and submit complete evaluation file within a week. Real Estate Brokerage: Undertake buying or selling the assigned real estate on behalf of client, complete transaction processing with court public notary, make sure that payments to all parties are fulfilled and transaction closed. Real Estate Development: Undertake development and management of the assigned real estate with best market practices and up to the highest possible standards. Perform quality website development, design, hosting. With all different electronic & real time contents. Perform complete due diligence for large holding companies prior to acquisition, merging, IPO prcesses. 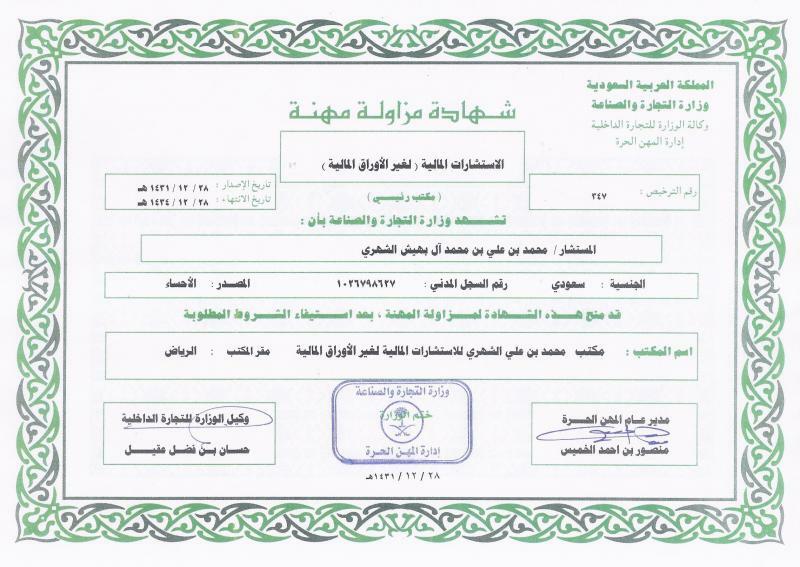 ** Note (Read Carefully): Select the type of service your business entry or investment in Saudi Arabia market needs at this stage, clients who desire to pay fees for any needed service category mentioned above by credit or debit cards, shall effect payment of selected service by clicking the adjacent PayPal button on service application form (SAF). Otherwise, we will invoice you with selected service's payment instructions by electronic bank transfer. Please click here to apply for a service category mentioned above, and fill up service application form (SAF) according to your need. Map below shows the strategic location of SAUDI ARABIA business and trade traffic wise. 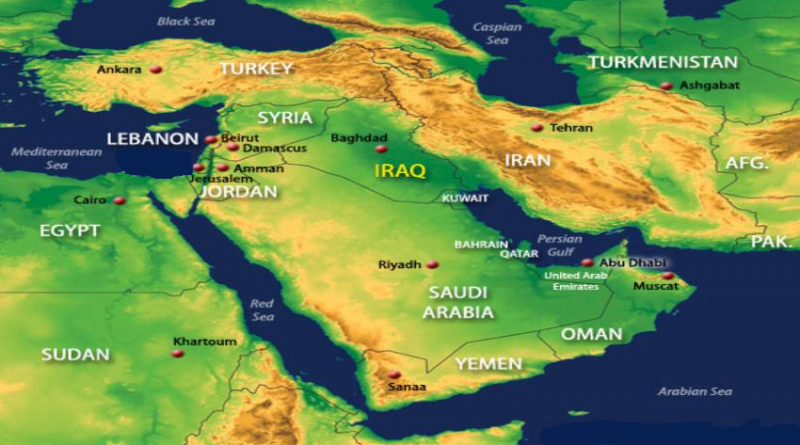 Browse full and useful data about SAUDI ARABIA by clicking on the map. details, the progress, and the delivery schedule. payment by credit/debit card or electronic bank transfer, you will receive both hard copy and email update on your request until final delivery . information or further details until you are fully satisfied. 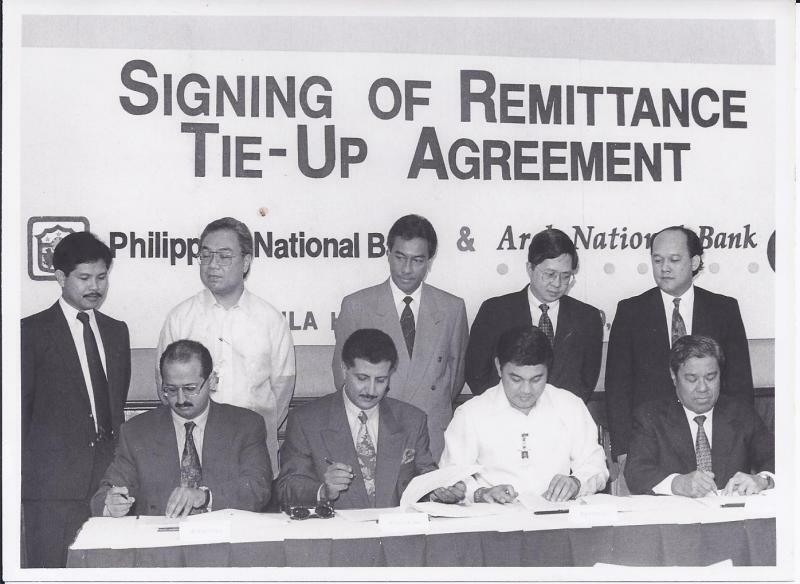 Si﻿gning up agreeement with PNB, Manila in 1993 on behalf of ANB. 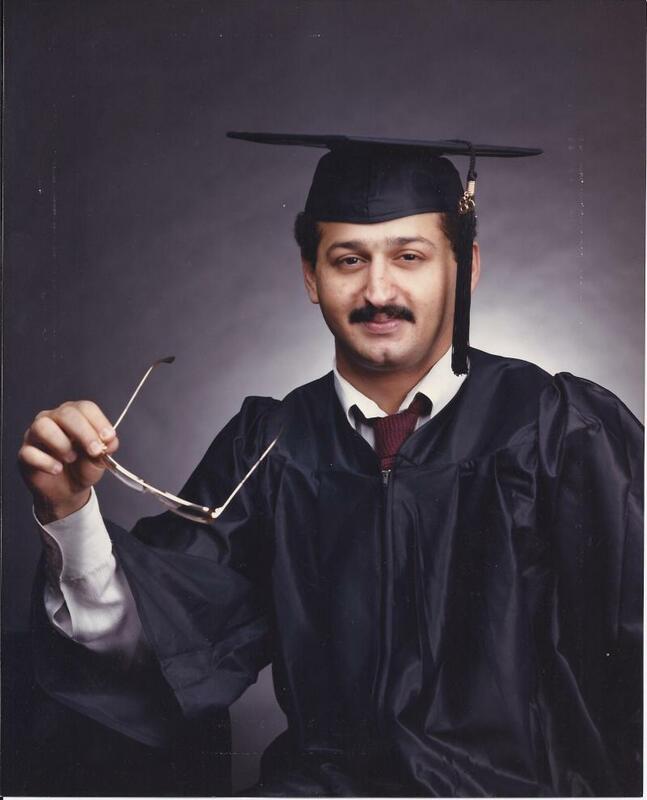 Graduation in Finance & Bankinng from NTSU - Denton, Texas USA in 1986. Meeting with Arab National Bank M.D., in Riyadh H.Q. 1992. 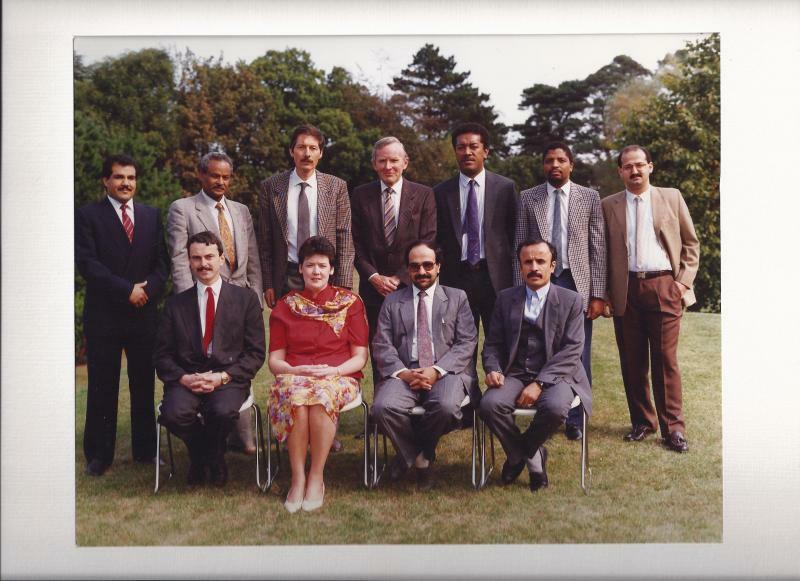 IMF Conference in Dublin, Ireland 1990. 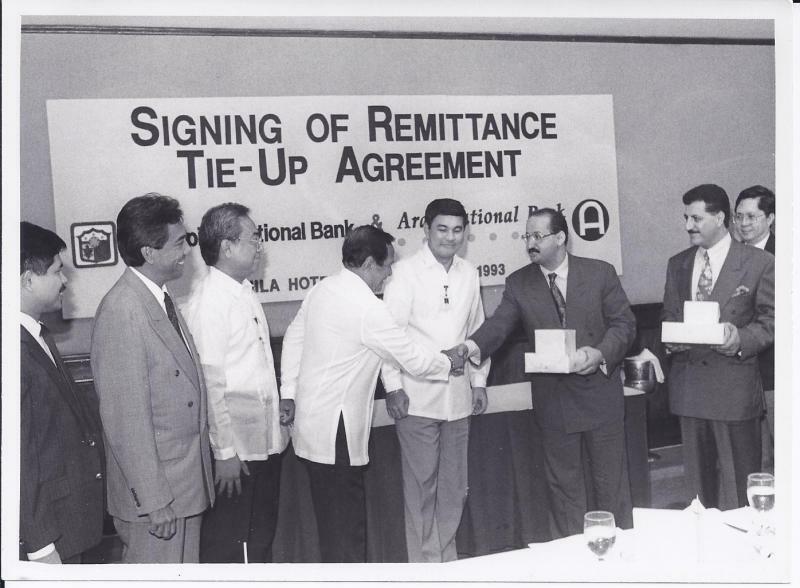 Deal signed with PNB - Manila, Philipine in 1993. 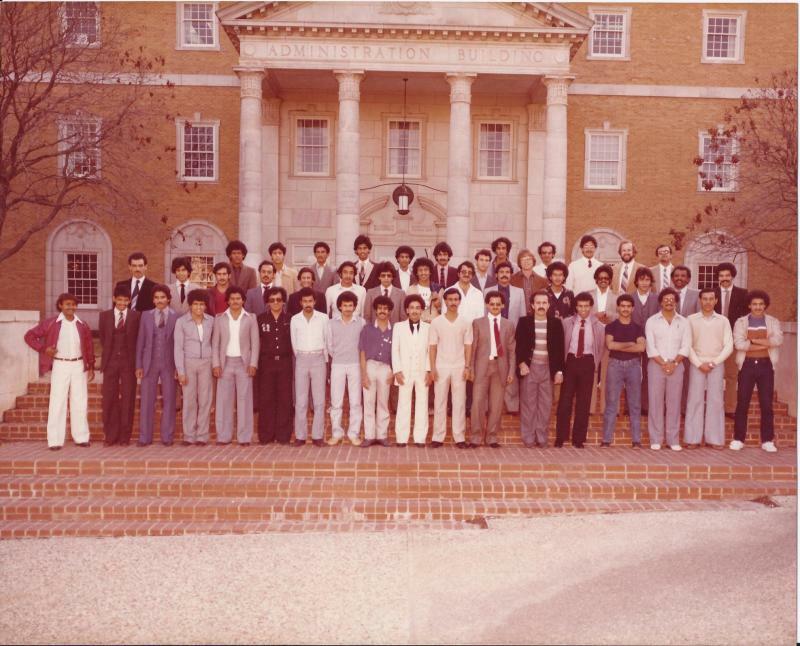 Scholarship Students at NTSU - Denton, Texas USA in 1980. 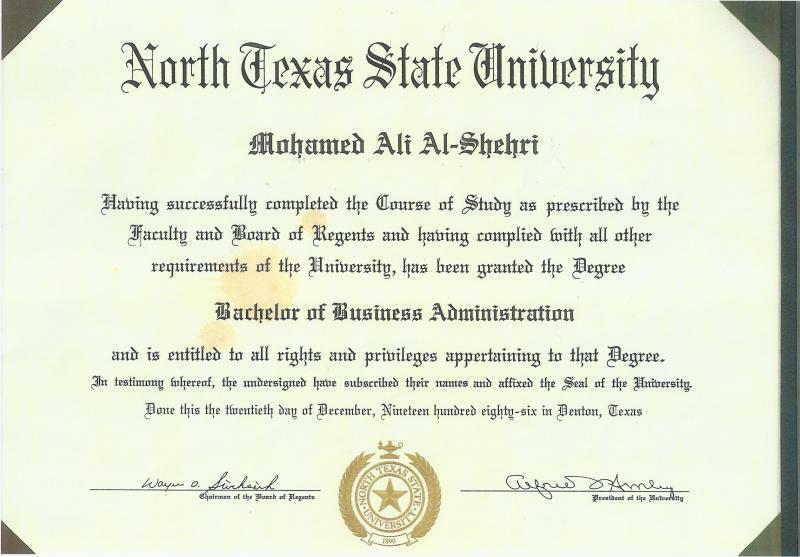 Bachelor Certificate in Finance and Banking, Texas USA in 1986. The King Abdullah Financial District (KAFD) Project is considered one of the most ambitious, distinguished projects existing in the Kingdom. Copyright 2012 Saudi Arabian Business Online.